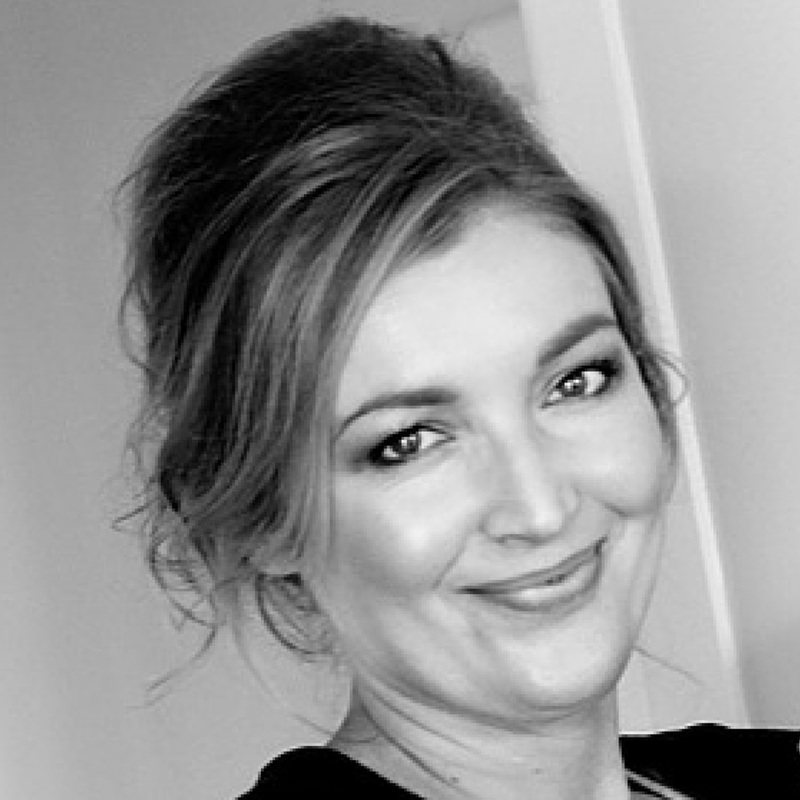 I am often told that I have a nice complexion, and the first question is always ‘What do you use on it?’ My response usually results in a disappointed look (‘supermarket products’) so I thought I would go through exactly what I think helps make for a glowing and healthy look. I drink a ton of water. Starting first thing in the morning, I drink a glass when I wake up. Then more after my cup of tea and I sip all day. If I go out in the car, I take an 800ml (27 oz) refillable water bottle and I always finish it before I return, even if it’s just to the supermarket and back. Water, water, water. The more you drink, the more you want it. I love the analogy of a pot plant. Think how a neglected little-watered pot plant looks compared with one that is watered regularly. Years ago when I lived next door to my great aunt, she exclaimed at how good my outdoor terracotta pots looked and they did! They were blooming with big, lush plants covered in trumpet-shaped petunia flowers. ‘What do you do to them?’ she asked me. ‘Water them every day’ I said, and it was true. That’s all I did. I eat a lot of fat. I used to joke that camembert and brie was responsible for my plumped up skin, but now I am thinking it is perhaps true. I also eat butter, olive oil, avocado oil/avocados, eggs, coconut, raw nuts and take fish oil capsules. I like the premise of the ‘Low Carb High Fat’ movement, because it’s good to lower your intake of carbs and processed foods not only for skin beauty but your health as well. You also need to have higher fat to keep you satiated when you do that though. Since I started being more mindful of these two things a few months ago I’ve noticed my hair has become oilier which I think is a great thing for glowing skin and youthfulness. I purposely keep a calm and serene life. I don’t let myself get worked up over the little things in anymore and am always aiming for a peaceful existence; letting people be who they are, creating order and routine for myself and having kind self-talk. Stressy high-drama people have more wrinkles, I’m sure of it! I value being easy-going, both for my own benefit and for those around me. I fill my mind with pleasant things. 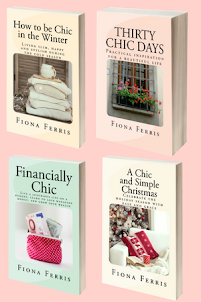 I read feel-good books such as cheery chick-lit and inspiring non-fiction. I journal happy inspiration for myself. I play pretty music when at home. I write about what makes me feel happy. I dress and groom in a way that makes me feel successful every day. I surround myself with beauty wherever possible. It takes minimal effort to have the bed made first thing and the house tidied up. I fill my body with nutrition. I eat much, much less sugar and processed foods than I used to. This has happened over time; I simply didn’t replace foods that I knew weren’t chic nor healthy once they were gone, and because we don’t live near to a supermarket it was a bother to go out if I had a craving. I started replacing bought items such as gravy mixes with more natural alternatives. I particularly focused on anything made with canola or vegetable oils after reading how highly processed and inflammatory to the body they are. This helped me effortless remove potato chips from my life. ‘The Magic Pill’ documentary on Netflix instantly helped with this – it’s an illuminating watch that will get you all fired up. You can also read two of my most popular posts on having beautiful skin here and here. What about you? What is your best tip for a happy and vibrant skin-tone from the inside out? I’d love you to share. PS. 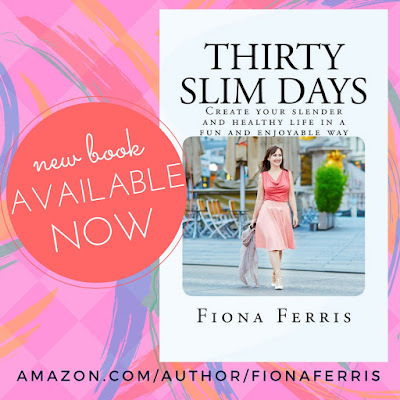 If you would like help with your slender mindset, check out my book Thirty Slim Days. 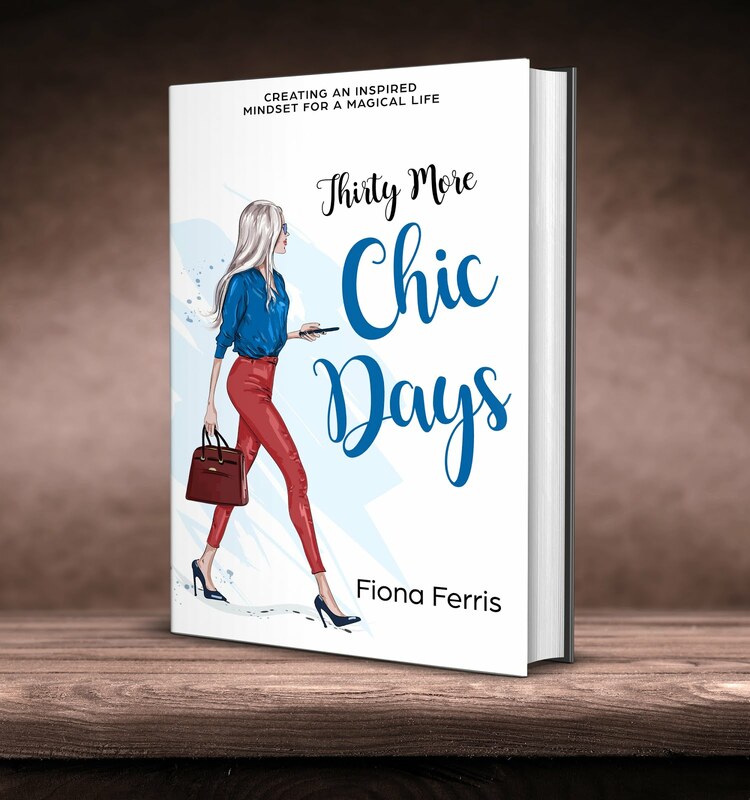 It’s filled with all my best inspiration to help you click your mind into place when it comes to living a slim, healthy and happy life. Thirty Slim Days is not like any other ‘diet’ book and you won’t find a list of what to eat and not eat. I’ve found that when you try to follow someone else’s way of doing things, it feels hard. I have had my most success when I have inspired myself to create my own path and I share how I've done this in this book. Thirty Slim Days helps your mind work with you, not against you. You can read the reviews of this book and order it here. PPS. The image on this post is a throwback to summer in Auckland. I love winter, but I'm really craving some warmer weather right now! Your skin looks lovely. My new tip is to wash your face with olive oil. Then take a hot washcloth and press on your face (no scrubbing or wiping it off though, you want the olive oil on your face overnight). I have dry skin and I read that it is so much better than using cleansers on your face and it really cleans your face too. I watched you tube videos about it lol which is my new thing....I'm obsessed with beauty tutorials at the moment! I love experimenting like that too Carla! If olive oil is good enough for Italian ladies... I think I read that Sophia Loren used it on her face too. YouTube tutorials are so good plus addictive!! Great tips for a lovely complexion Fiona. You actually look like an English Rose, if you know what I mean. 1. Stay out of the sun! Sunscreen and sunhats and sunglasses year-round. That tan you insist on at twenty-five will come back to haunt you when you're forty. 2. Sleep. Lack of sleep shows in the skin. 3. Exercise. You don't have to be a gym rat or run marathons. I walk or bellydance. I also have my own home-gym routine which sticks mostly to body-weight exercises and requires only one set of 5-lb dumbbells. My mom warned me when I was in my 20s to stay out of the sun especially on my face. She said otherwise in my 30s onward I was going to look like alligator luggage. I am so glad I listened. I am not going to tell you how old I am now but I don’t look like alligator luggage. I always wear sunscreen and if I’m in the sun I wear a hat. A few years ago I added astaxanthin to my supplements, minimum 4 mg a day. Research it; it is the stuff that makes salmon pink and speaking of which salmon (and other certain fish) Is most excellent for your skin - minimum once a week. But the best advice you gave was water. Water water water. Especially lemon water; i have a cup of hot lemon water first thing in the morning before my tea/coffee and then again in the afternoon instead of any caffeine at all after two p.m. I limit my caffeine to 1 cup of coffee a day, then green and occasional black tea before 2 pm. I drink water for any other needs. Water at restaurant, water with dinner. No white sugar at all. Unprocessed raw honey as sweetener. Rarely have processed food (only when unavoidable). I think moisture plays a big part in good skin as well. I work out in the mornings so I get in 1 - 2 bottles of water before my day has even started. I also limit caffeine to one cup in the morning and alcohol to once a week. An ingredient I love for moisture is hyaluronic acid. It's a water-based ingredient so it feels very light but works very well at hydrating your skin. I also have a hydrating face mist that I spray on throughout the day. It's lovely and refreshing. I've also recently invested in a good eye cream. I've always ho-humed about them but swear by them now. I never realized the skin around the eye lacks a lot of moisture and this is why the first signs of aging usually set in around the eyes. 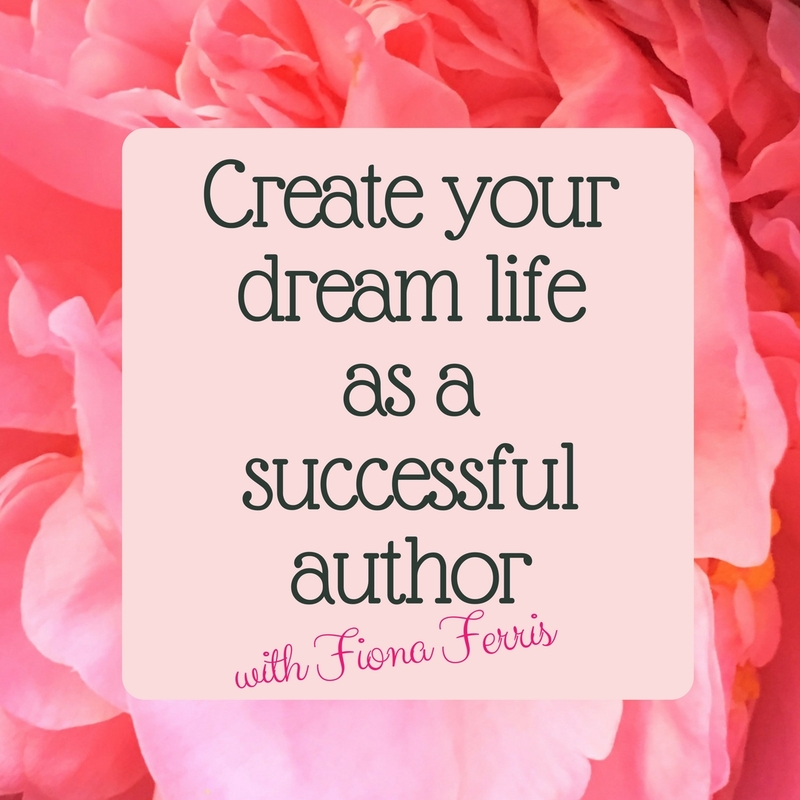 It's lovely to read your tips here, Fiona, and the comments of your readers. I agree with the intake of water, although not over-doing it, which could be almost as bad. However, I'm concerned just a little with a high fat low carb diet. Are you not concerned with cholesterol which block the arteries? I know there are good and bad fats, but I've always maintained that a balanced diet, with protein, fat and carbs to be the most healthy, not focusing on any one element. I also keep out of the sun, I've never 'sun-bathed' as I dislike feeling hot, and even in my 70s have good skin (thank goodness) ... yes there are some wrinkles, but so what? My skin isn't leathery and it's not the colour of a walnut through hours in the sun. I do wash night and morning, I hate to feel my skin is dirty and I could not wash just at night, 24 hours without washing would leave me feeling truly grubby. I use a simply age-related moisturizer and that is sufficient to keep my skin supple once a day, under makeup. At night I like my skin to feel free of any grease, allowing it to breathe without being clogged with any type of cream or oil. I also avoid sugar and processed foods. I cook Real Food at home, and my skin definitely benefits. Menopause also, surprisingly, improved my skin. It finally cleared up! I think that most people are looking for One Thing that they can do to get good skin, when in actuality it is the sum total of everything that you do. Yay, a skincare post! I'm trying to reverse some of the damage from sunbathing as a teen and young adult and I've gotten brown blotches on the left side of my face from driving all the time. I try to stay hydrated, sleep, and eat nutritiously although I still have a stubborn sweet tooth. For topical products I like to combine natural ingredients with science. I use mostly Japanese and Korean skincare and items from the health food store. My morning routine is: cleansing foam with hyaluronic acid in it, toner based in angelica herb, whitening cream to take care of those spots, sunblock. Evening routine is the same sans sunblock of course with the addition of: 100% jojoba oil to remove makeup before cleansing and then sometimes a whitening sheet masque. Weekly, I exfoliate with a peeling jelly. D., you may want to investigate an Indian ayurvedic skin care cream called Vicco turmeric skin cream (get the one with sandalwood oil). My husband had a red patch on his forehead from sun damage and started using this. The sun damage faded away to nothing. Now he uses it every day as part of his basic skin care. I use it on patches of eczema and it seems to work well (although I'm still experimenting there.) You can find Vicco on Amazon. D, I had a few brown spots on the right side of my face near the hairline (age spots) and had them frozen and they just kind of scab up and fall off (I know gross) but it wasn't very expensive either at the dermatologist. Now I use a nice thick layer of sunscreen EVERYDAY winter or summer, never go without it! Mimi, I drink turmeric/ginger tea when I get migraines because I know its anti-inflammatory but haven't tried turmeric skin cream. Thanks for the recommendation, I might give it a try! I might be wrong, but I have sensitive "teenage" skin, too, and you may be over treating/exfoliating it (while trying to take excellent care of yourself). You might try more gentle products and see what happens. Possibly a foaming cleanser and a nourishing serum for mature women (not vitamin C - you had a bad reaction to it so try something else) plus a rich moisturizer. I like L'Oreal (available most places) and Skinn products (evine.com or skinn.com). It takes trial and error. You have to throw things out if they make you break out. It's frustrating, but it's OK. You WILL find what works for you, but it's not easy sometimes. Don't give up! I notice the more gentle I treat my skin, the better it looks. Creamy cleansers or oil based cleansers work best for me and I love adding a mask at least once per week. I use a gentle one and it's so relaxing. This is such a good reminder to drink plenty of water! 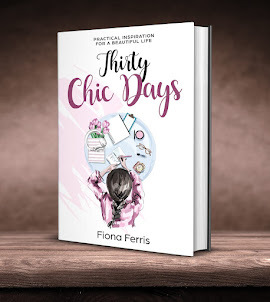 Dear Fiona, I love your blog!! I was wondering if you take blog suggestions. 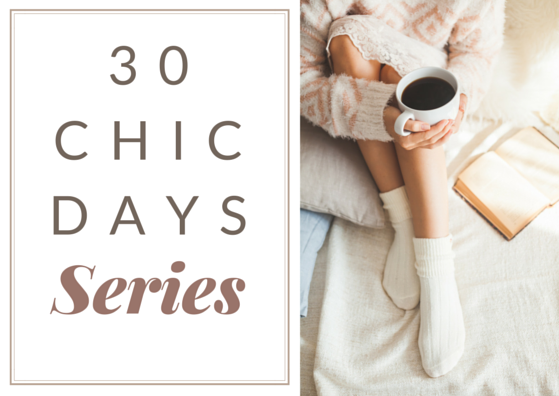 I'd love to hear you write about your favorite chic/lifestyle books that have inspired you. I am on break and looking for new things to read (already finished your own book :) Thank you! What a wonderful post! It took me a while to get to reading it but I'm glad I saved it. Excellent advice! Thank you!